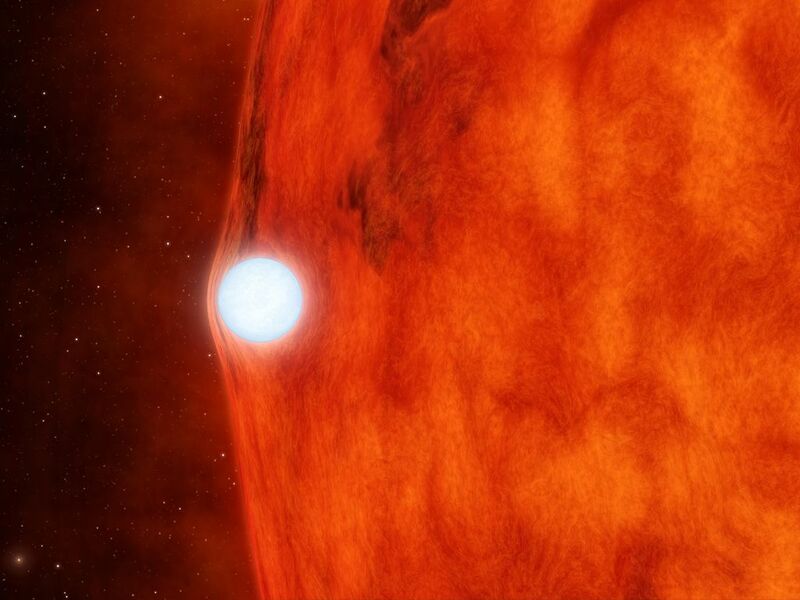 This artist's animation depicts an ultra-dense dead star, called a white dwarf, passing in front of a small red star. 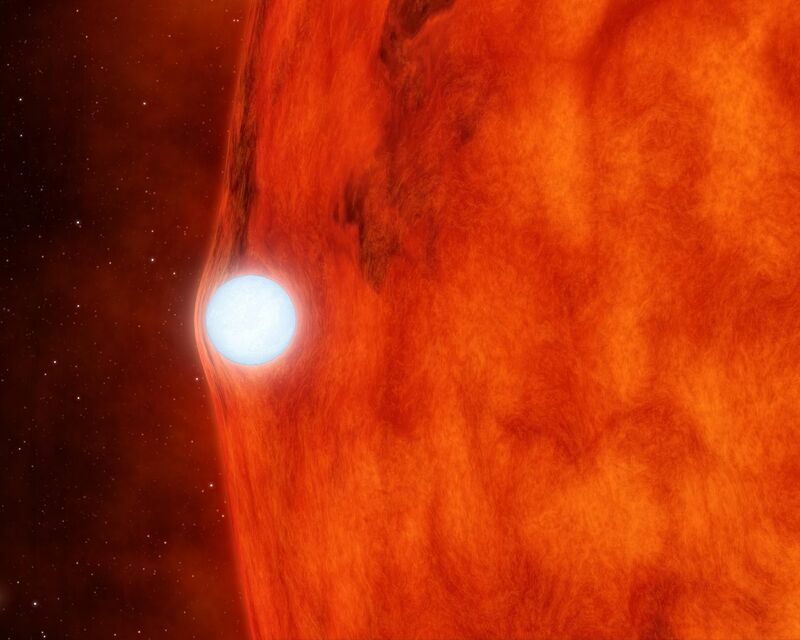 As the white dwarf crosses in front, its gravity is so great that it bends and magnifies the light of the red star. NASA's planet-hunting Kepler space telescope was able to detect this effect, called gravitational lensing, not through direct imaging, but by measuring a strangely subtle dip in the star's brightness. The red dwarf star is cooler and redder than our yellow sun. 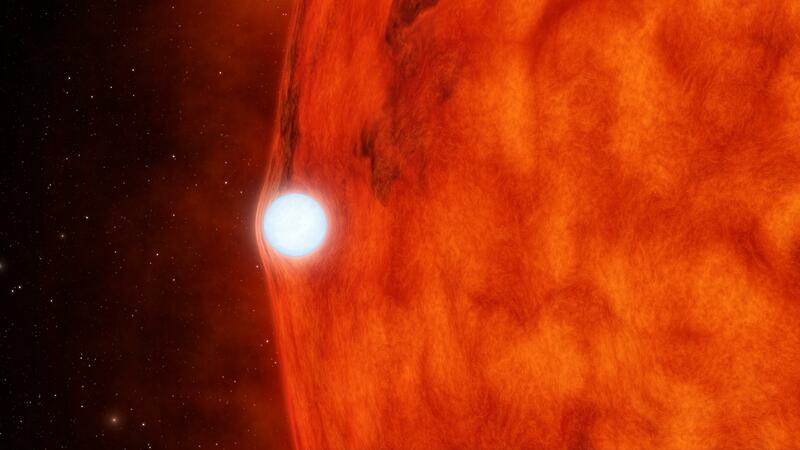 Its companion is a white dwarf, the burnt-out core of a star that used to be like our sun. Though the white dwarf is about the same diameter as Earth, 40 times smaller than the red dwarf, it is slightly more massive. The two objects circle around each other, but because the red dwarf is a bit less massive, it technically orbits the white dwarf. 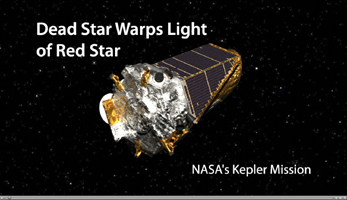 Kepler is designed to look for planets by monitoring the brightness of stars. If planets cross in front of the stars, the starlight will periodically dip. 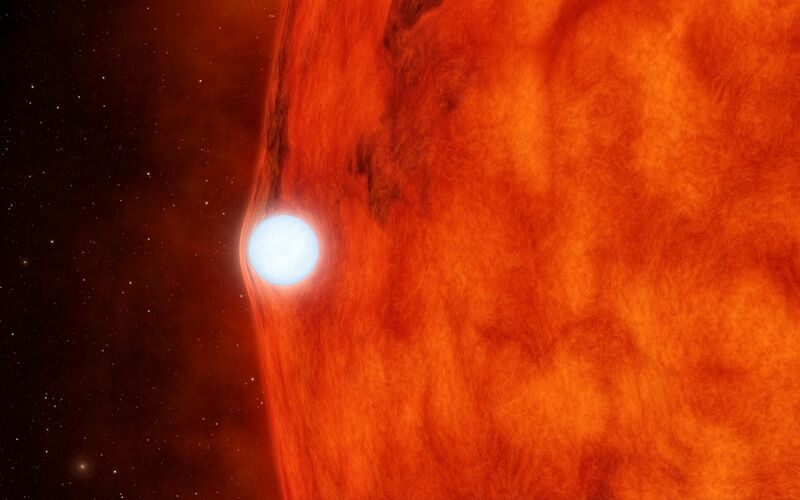 In this case, the passing object turned out to be a white dwarf not a planet. The finding was serendipitous for astronomers because it allowed them to measure the tiny "gravitational lensing" effect of the white dwarf, a rarely observed phenomenon and a test of Einstein's theory of relativity. These data also helped to precisely measure the white dwarf's mass. JPL managed the Kepler mission's development.